Which one is harder to play? Before diving into the main subject of this article, we wanted you to know that we also have a number of other articles about violins. 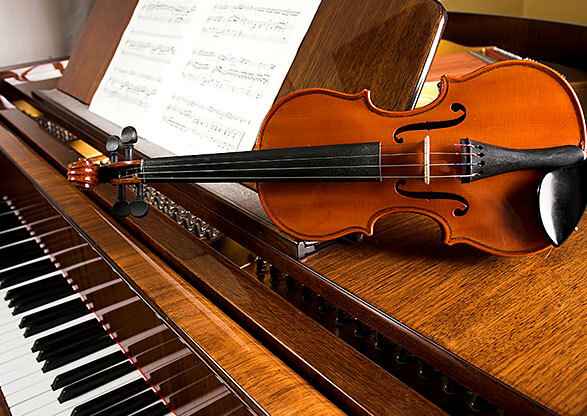 So if you want to find out more information about violin strings or you want to read what we have to say about some of the greatest silent violins, check out our other articles too. There are professional musicians that excel at more instruments and some of them even had concerts in which they played the violin and then switched to the piano in other parts of the music piece. Moving from one instrument to another is achievable, but there are certain obstacles that the player will have to pass. 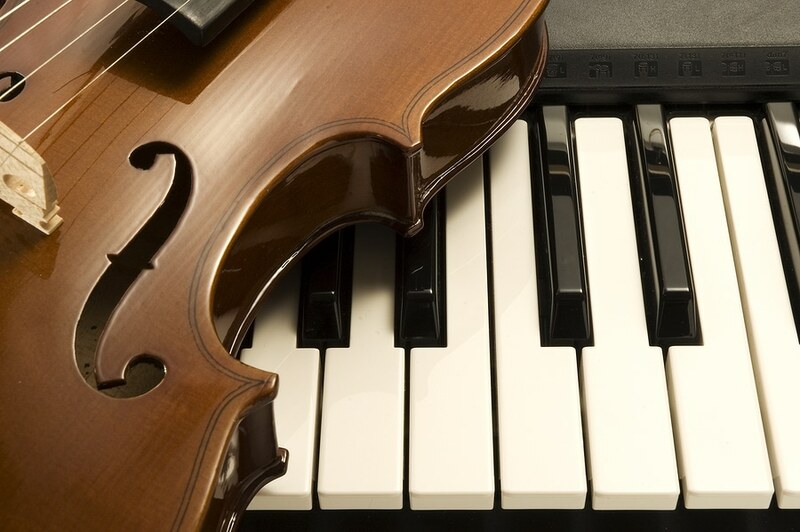 Both the violin and the piano can be considered difficult to play but in distinct stages of the learning process. With the violin, starting to learn the instrument is the hardest part. Holding the violin is a task that feels awkward at first and uncomfortable. It’s also hard to memorize where each note is and how to produce it. When you start playing the violin you will sound bad and the chords will squeak. On the other hand, the piano is easy to start with – you press a key and the sound is produced. There is no need to learn how to hold a bow or something like that, and no matter what key you press, it still sounds decent. You also don’t have to hold the piano in an uncomfortable position. After several years of practice, however, the piano starts to become more difficult. With the violin, you will be used to holding the instrument in a certain position and you will know how to get the desired musical notes out. There will be no more squeaking sounds and the piece of music that you are playing will sound great. The piano will get more complicated. A piano player needs to use both of his hands to press the keys and an advanced player will have to hold 3-note or 4-note chords. Certain music parts also require a fast tempo and moving the hand rapidly from one part of the piano to another and hitting the precise notes is complicated. Playing the violin requires certain moves that need to be done with the hands. The left hand is the one used to press the strings and create the notes, while the right hand holds the bow and moves it across the strings in different motions. Both hands work separately towards the same purpose of producing a melodic line. The difference with the piano is that either hand can produce notes without the help of the other. You still need coordination between your hands to create music, but it’s a different kind. The right hand is used to play the melodic line while the left hand is for accompaniment. There are certain music pieces that require both hands to do their own thing and play two melodic lines. 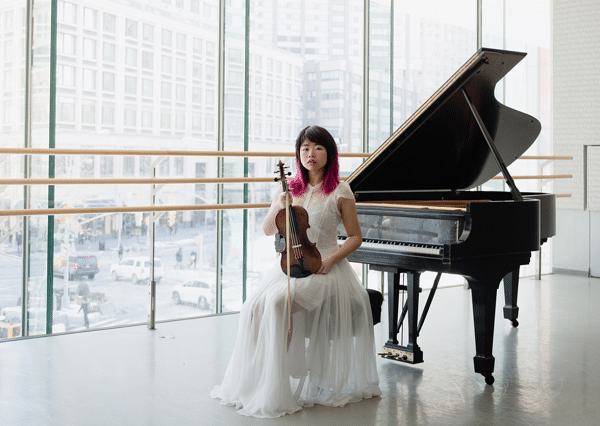 When you switch from the violin to the piano you need to know that a solo violin piece is usually a melody that lacks accompaniment, while the piano does that by itself. While a violinist needs to play with somebody else to complete a piece of music, the pianist can have a wholesome music performance without the help of another instrument. So if you switch from a violin to a piano you will need to learn to play by yourself and make sure you keep the rhythm and harmonize with yourself well. Something that may make it difficult for you to go from violin to piano is the range that each of these instruments has. In the case of the violin, you can play musical notes from G before middle C to a high C which is 3 octaves up. A piano player knows that this instrument’s range consists of 7 or more octaves, which is more than double of what the violin can reach. This means a wider range of notes, and also the fact that there are two clefs that the player needs to read. A violinist only needs to know how to read the notes on the treble clef. In the case of the piano, there is the treble clef and the bass clef as well. Typically the left hand is used to play the bass notes while the right hand is for the treble ones. Also, when reading the written music, the pianist has more notes to learn as there are 4 extra octaves higher and lower than what a violinist is used to. But whilst the piano has a wider range of musical notes, the violin can do more in terms of sound effects. Playing harmonics requires skill and the sound produced is one that’s specific to violins, an angelic one, impossible to replicate on a piano. However, changing from a violin to a piano is certainly possible. They are both instruments capable of producing music and the basic knowledge needed to play them is the same. All well-known Western instruments use minor and major scales and people that know music theory should be able to transition easily from an instrument to another. While playing the violin you gain great dexterity in your left hand and that can help you greatly when you start playing the piano. That is especially true if you’re right-handed, as you will have your “weaker” hand already trained. You just need to learn how to play with your other hand. You will also have some muscle memory that can help you. But that is a double-edged sword – it may come naturally for you to press certain keys, but you can find it awkward to reach others. A good aspect of switching from violin to piano is that when playing the piano you don’t need finger strength. Pressing the keys is easy. One thing that may make the transition more difficult, however, is that the piano also has pedals that need to be operated, and a violin player will not be accustomed to that.